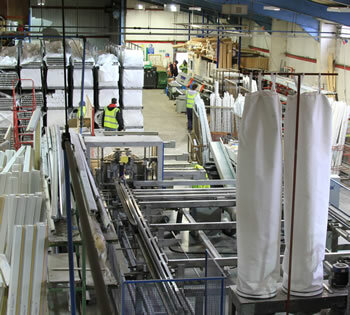 Astraseal is one of the UK’s largest and longest standing fabricators. Originally established as a retail fabricator in 1979, we changed our business model in 1983 to focus on supplying and installing a range of quality products for new-build residential and commercial projects in the construction sector. Today Astraseal works with major contractors, housebuilders and architects, installing over 80,000 products a year for projects across London, the Midlands and South regions, as well as the rest of the UK. We can supply products for all sizes and types of project, and have an excellent track record for on-time project completion. 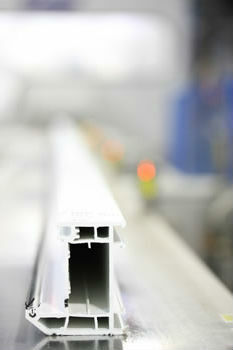 We fabricate high specification PVCu windows and doors using REHAU’s Total 70 system. We also manufacture Smarts and Reynaers aluminium windows and doors, curtain walling, Door-Stop composite doors, and 30 and 60 minute rated fire doors. Our business operates from a 110,000 square foot factory in Wellinborough. We fabricate all products in-house, including sealed units in accordance with quality and health and safety guidelines. Significant investments in our production process means we have the capacity to manufacture over 4,000 frames per week, allowing us to process high volumes for large-scale commercial projects. Astraseal products are delivered direct to site and installed by our experienced team to project specifications and within the planned timescale. We currently have over 180 staff and all of our factory workers, delivery drivers and installers are employed directly by us. Astraseal is a fully accredited company and our products are kitemarked and meet Secured by Design and Passivhaus standards. We are members of trusted schemes such as Contructionline and CHAS, and are committed to implementing sustainable manufacturing methods and meeting high standards of ethical working conditions. We’ve helped complete projects of all sizes and we can work with you on all types of developments from housing estates and high-rise apartments to commercial offices and retail outlets.